An essential resource for creators of online content. If you podcast, blog or create web video, you must know these rules! Like it or not, if you're making content, you're doing business. It's time to start acting like it by learning, following, and enforcing the rules professional content producers have been using for decades. A Handy and Useful Guide You Will Actually Use. Legal information like this could cost you thousands! Consulting a media lawyer involves retainers, hourly fees, and ongoing bills. 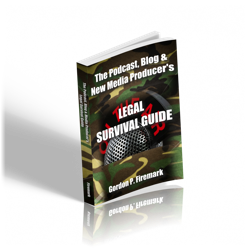 Just by reading and implementing the practices outlined in The Podcast, Blog & New Media Producer's Legal Survival Guide, you could save thousands. Lawsuits are no fun. Learn how to avoid them. 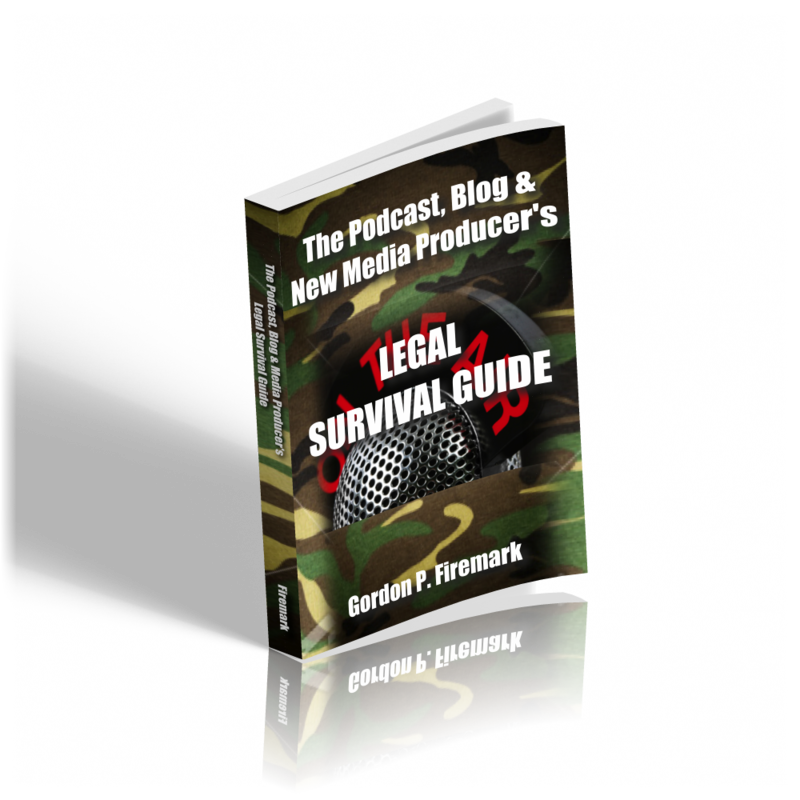 The information contained in The Podcast, Blog & New Media Producer's Legal Survival Guide can save you tens- or hundreds-of thousands of dollars in legal fees, months or years of litigation, and countless sleepless nights. Don't wait! GET THIS E-BOOK now and learn what you need to know to stay out of legal trouble with your podcast, blog, or new media content.